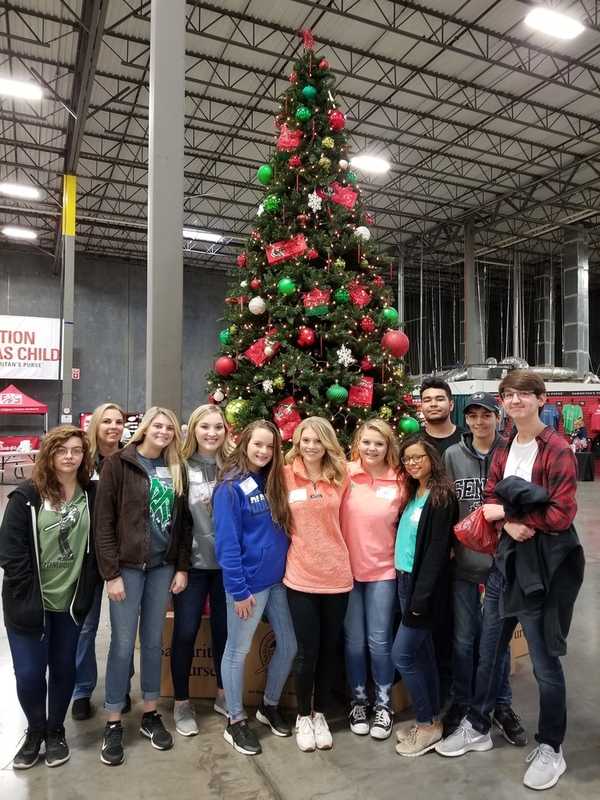 The SCHS HOSA Club participated in the Operation Christmas Child (OCC) Shoebox Ministry in Dallas, Texas on Wednesday, December 5th. The OCC uses shoeboxes filled with toys and treats to spread the GOSPEL to children all over the world. Dallas is one of 6 distribution centers in the US that takes these boxes in, and makes sure they are all packed properly and processes them to be shipped to foreign countries. The US will distribute about 9 million boxes to children who have never received a gift from anyone. The students worked really hard and are looking forward to repeating this next year. HOSA members: Jaclyn Vagts, Vanessa Magana, Jesse Moore, Rodolfo Garcia, Alyssa Teague, Savannah Morgan, Brianna Luker, Ennsleigh Levengood, Katie Henley, Logan McMillan and HOSA sponsor, Lindy Vagts. HOSA is our club for Future Health Professionals. We are very community oriented and strive to help as many as possible. If you are in need or know someone that is, please let us know how we can help.